Elite Properties provides a full range of property management services that can be tailored to your unique circumstances, ranging from a full service management and maintenance agreement for larger complexes to a simple administrative services plan suitable for smaller associations. 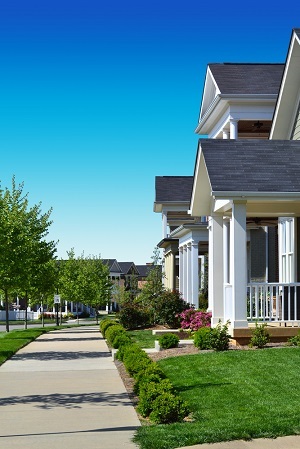 Professional management is an essential element of a successful homeowners association. Good governance and responsive management is necessary to deliver the carefree lifestyle that attracts people to your community. Additionally, a well-managed and maintained condominium protects and enhances property values. Superior Service for Homeowners: A management company offers a level of service to homeowners that is not possible otherwise. The convenience of regular business hours, a 24 hour answering service, a professional maintenance staff, and other amenities are a great benefit to residents. A Professional Point of View: A management company brings a wealth of experience and expertise to the table. No matter what issues face your association, chances are that we have dealt with similar problems somewhere else. As an outsider, we can also offer a neutral perspective on the emotionally charged issues that occasionally arise. Reduce the Demands on Board Members: Board members are volunteers. As such, there are limitations on how much time and effort they are able to devote to the association. By establishing a relationship where the Board's job is to make the decisions and the management company's job is to implement them, a great burden is lifted from the board members. Better Retention and Recruitment of Board Members: Finding and keeping board members can be tough. With professional management, being a board member is not nearly as major of a commitment. This makes it easier to recruit new members and keep the existing ones around. Continuity: Board members come and go. A professional management company provides a level of stability that enables smooth transitions from one year to the next. It also helps ensure the success of long-term plans that are implemented over a period of years. Collection of Dues: Owners can send their payments to us, place them in a drop box, or enroll in our convenient electronic payment plan. In the unfortunate event that collecting from a homeowner becomes a problem, we will work aggressively towards recovering the unpaid dues. Bookkeeping: We perform complete bookkeeping services for all of our customers, including both payables and receivables. Note that all funds are kept in a separate account and are not commingled with our own or those of any other client. Financial Reporting: Each month you will receive a set of financial statements, including an income statement, a balance sheet, and a roster of owners with their payment status. We also send copies of all completed maintenance work orders for the month. At tax time, we will work with your tax accountant to get your return filed. 24x7 Answering Service: We are available during normal business hours, and there is always a property manager and maintenance technician on call after hours. Our answering service will contact someone in the event of an emergency. Maintenance: Our team of hard-working professional maintenance technicians is available for many scheduled and unscheduled jobs. Our reasonable hourly rates will help keep costs under control while providing the responsiveness and quality that residents expect. If you want to sell your unit, it makes a TON of sense to work with the company that really knows the ins and outs of your homeowner's association, it's amenities, rules and regulations. Working with an insider helps ensure that your unit is priced correctly, and that prospective buyers get the quick and accurate answers and documentation they need to complete the purchase. A complete market analysis to help price your home accurately. A listing in the Multiple Listing Service, opening it up to thousands of local real estate agents and their buyers. Advertising on the Realtor.com web site. 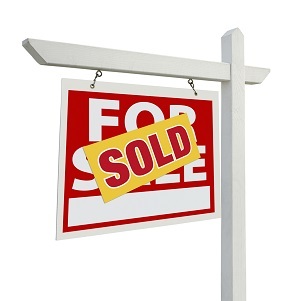 A high profile, high quality sign* to make sure people know your property is for sale. Multiple high-quality digital photos of your property. Working with buyers to write offers and help them obtain financing. Help coordinate and attend the closing. * Subject to the signage rules of your association.